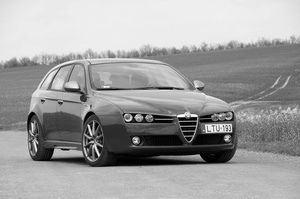 Totalcar Magazine - Used Cars - An Italian car without issues? I was genuinely surprised when it was launched; I had never expected it to look this good. Or that I would ever have one. I didn’t actually buy the Linea but I did drive it for nearly 80 thousand kilometres over three years. You cannot help but admire its looks. I know, you know, we all know it's just a Grande Punto with a proper trunk attached, and yet the Fiat Linea looks decent. Pitch it against a Renault Thalia or the hideous Fiat Albea and you will appreciate the difference. 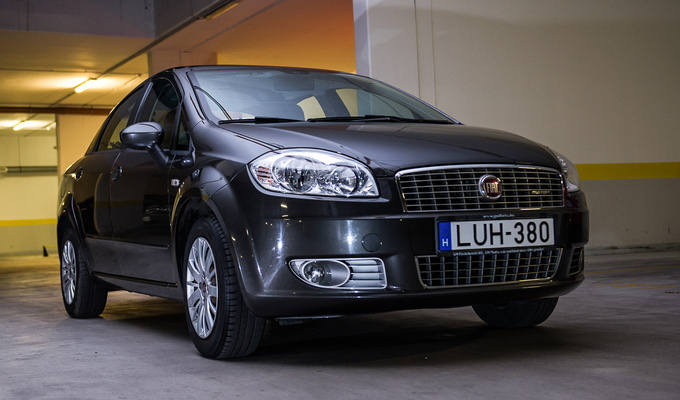 Fiat has proven that even low-cost vehicles aimed at penniless markets can be built pretty. Of course the Marea, the spiritual predecessor to the Linea was not quite as awkward-looking as small hatchbacks-turned-sedans usually are. In fact it gave Fiat experience with global cars intended for developing nations. 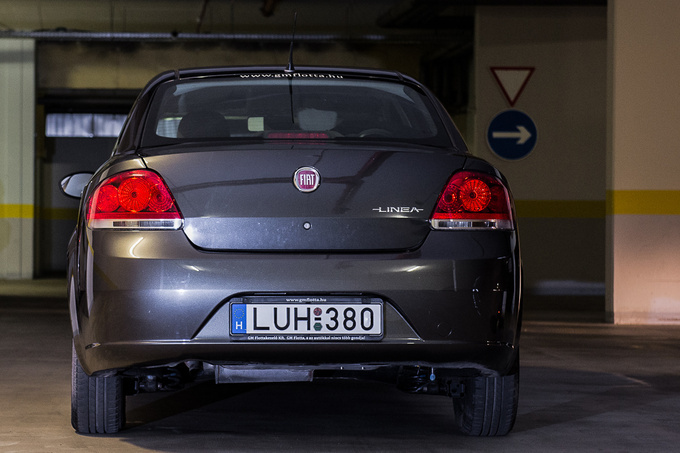 2005 was a year of change for Fiat – actually, Fiat had many years of change around that time – and the Grande Punto was one hell of a nice car. Logically, then, the Linea followed suit in 2007. The Grande Punto was the first car I ever rented. It's a cutie but feels like a spud after my graceful Honda Accord. The centre console was unwieldy, the windscreen was so steep there was no way to attach a GPS to it and actually reach it for use. 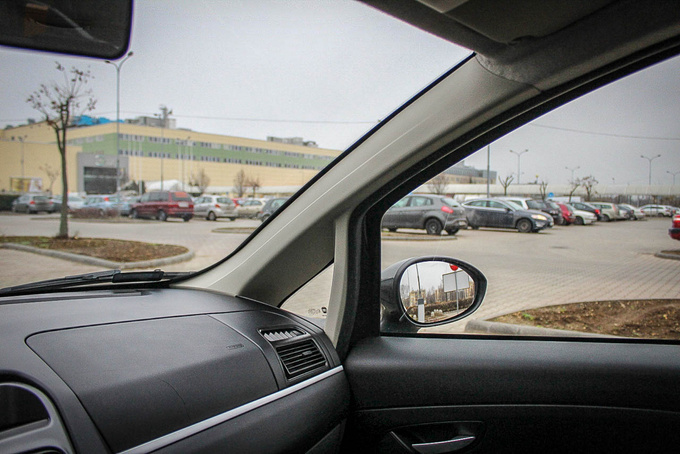 The windscreen pillar was so thick – with an even thicker base – that it could block an entire junction from view. You needed a giraffe's neck to look around it every time you took off. Some of these issues carried over to the Linea. The top arch of the instrument panel was changed, making it decidedly more elegant – there is no other change, yet the result is significant. Instrument dials have different graphics, with the numbers positioned radially instead of horizontally; while this may be the traditional way to do it, it takes some effort to read it. Nothing you cannot get used to, though. Gone is the City mode of the power steering that we liked in the Punto so much, although the two cars share the same power steering unit. There was no leather steering wheel option for this specific Linea grade. The plastic rim felt strange for a few days, but the car came with an automatic aircon unit so I couldn't really complain. Many people think of the Linea and the Punto as low-spec budget vehicles but obviously this depends on the selected grade. The light coloured two-tone upholstery looks awesome, although my grey-black was also nice. There is an abundance of plastic surfaces but I could live with that: I like functional, easy-to-clean interiors and have no need for – nor can I afford to buy – luxury ambiance in my car (as a thought aside, I think people are spoiled beyond their own good and automakers are making an advantage of that). The greatest difference between the two models is the number of doors and the shape/size of the luggage compartment. Other than that, the two are more or less the same unless you want to get down to minor details. Of course, Fiat made sure the two models were not identical after all. The Linea received the more powerful 90 PS version of the 1.3 Multijet diesel engine. While the figures themselves are no longer much to write home about, the dynamics of the car will surprise unsuspecting passengers. 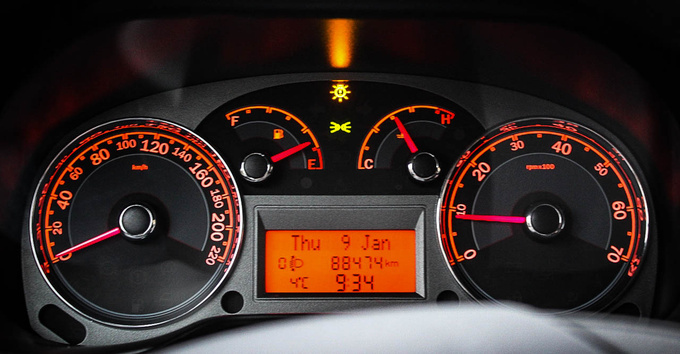 There is very little power available at lower revs, the car appears to be slow, but then, as engine speed builds up, the car shows its sprightly side and pulls with unexpected zeal. It only takes a short while before you get used to this character and while it won't win you drag stints, I didn't mind, being a more relaxed driver. I also appreciated the low fuel consumption, averaging out around 6 l/100km – my personal best was 5.8 and it never went over 6.2, not even in heavy city traffic. I didn't drive the car much on country roads but here you can get along under 5 litres without trying hard (I averaged a solid 5.2 l/100km). The Linea is an economic car to drive, although it is not much suited to highway speeds. The engine revs hard at 130 kph, it's noisy and reluctant, but look at the bright side: it will keep you from unintentional speeding. You just don't feel like pushing it any harder simply because 130 kph seems to be the end of the optimal operating range for the car, and that includes the chassis. If it wasn't a leased car I would have had reservations about the engine. I had had some bad experience with its Opel version called 1.3 CDTI. With 75 PS it was no match for the huge frontal area of my Opel Combo. While Opel would BS customers with a promise of 4.5 litres/100km, it would regularly consume over 7 litres, more like 7.5 on the average, and once when I was in a hurry I managed to work it up to 10 litres. But that's not all: the engine blew at 40.000 km. I was on my way to the workshop for the annual servicing when the engine revved out of control, spewed white smoke and refused to stop. I had to call the fire brigade. It was fixed under warranty, yet only 20.000 km later the driveshaft wore out the central splines of the clutch disk. At this point the factory warranty period was over and it would have cost over €1000 plus labour to replace the entire clutch unit / release bearing / hydraulics / double mass flywheel contraption. Instead I had the clutch disc replaced and sold the car. The suspension of the Linea is optimised for the roads of Eastern European countries – it is a simple, robust construction that will both tolerate and smooth out uneven road surfaces. On the other hand, this also means the chassis is far from sporty and less than stable. It runs soft and wobbly on fine roads, with noticeable sensibility to cross winds. The suspension setup is completely unsuitable for high speed highway travel. Which was a shame because over the 80.000 kms I drove the car I mainly used it on highways; primarily on shorter stretches but there was also a 1000-km journey. I won't say long journeys are a breeze but the armrest that comes with this grade was a blessing. I wish it also had cruise control. The factory fitted audio player is not particularly user friendly. It has no USB or AUX port, but I haven't used CD's for years because they get all scratched up. So I removed the original radio from its DIN dock and replaced it temporarily with a unit more befitting my needs. Comfort is relative in the Linea. The rear seatbacks must be made of concrete, although I never had a passenger complain – they were well disciplined people probably. 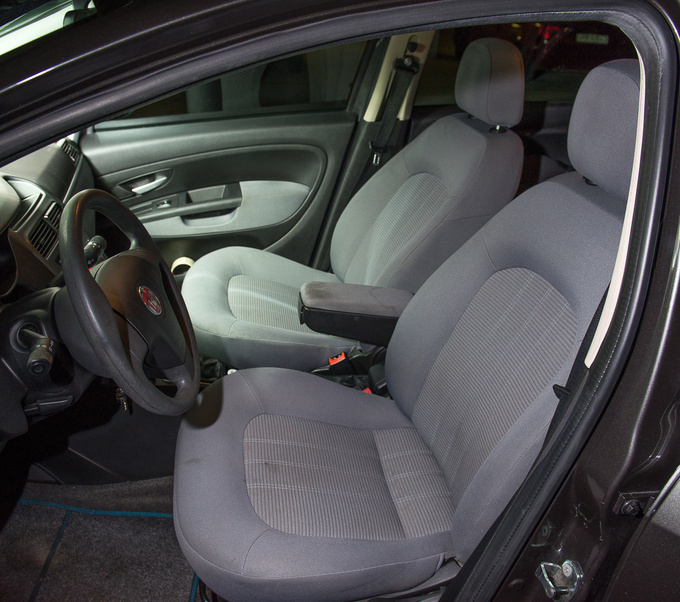 Legroom is enough on both seat rows, but the front seats themselves are not really suited for longer journeys. You start fidgeting after around 200 kms but it's not like it's unbearable. It could have been without the armrest, though, it looked quite worn by the end. Before I go on listing other signs of wear it's important to state that I don't abuse my vehicles. I tend to load them up fully, I don't always tidy them up, I may forget to wash them but I don't push them beyond reasonable use. Servicing was spot-on, since I used the car on long-term lease and the fleet management company took care of all maintenance work, including winter and summer tyre changes. Long term lease may not be the cheapest way to use a car but is a pretty favourable one. Some just call it leasing and they are more or less right, except it's not about financing but pure operative leasing. You don't get the option to buy the car at the end of your contract. Advantages and conditions of this framework vary from country to country. 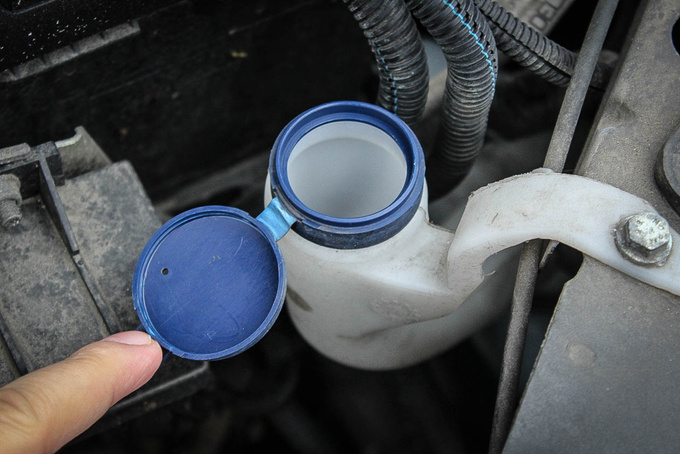 In Hungary you can deduct all leasing fees and fuel expenses from your taxes, and will not be met with unexpected maintenance costs. For instance if the car breaks down, the owner (in this case, GM Fleet Management) gives me another one while they fix the fault at their cost. When people buy a brand new car they usually do so because they want to have a car without issues. 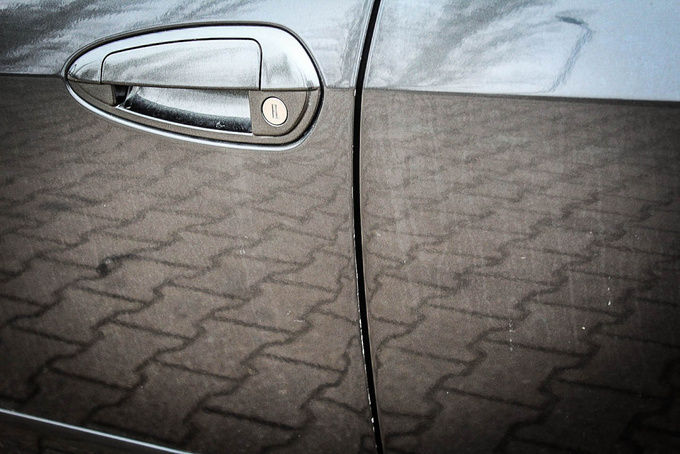 Long term lease gives you that peace of mind throughout the entire contract; your car will still be ‘brand new' after three years of use. Of course all of this comes at a cost, but in return you don't need to worry about selling the car, about servicing the car, or paying any taxes on the car. All in all long term lease gives you a peace of mind no privately owned car can. There were some Italian issues, though, such as the gear knob loosening up. Worse yet, I could only tighten it back down in the wrong position. It also lost the badge which I managed to snap back on. What is really annoying is that no mechanic at the workshop ever bothered to fix this. The gearbox has recently begun to act up. Sometimes it feels like there is something blocking the gear lever from fully engaging. 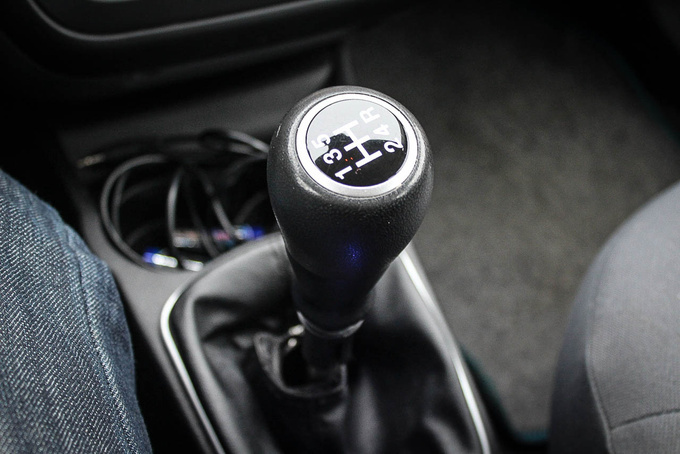 There are definite problems engaging third and fourth gear, especially when shifting down. You need to fish for gears and that's not exactly helping the driving enjoyment. Not that the gearbox has ever been up to Ford Focus standards. This may have to do with the clutch which is supposedly identical to the unit used in the Opel Combo which needed replacement after 60,000 km. Fiat parts are supposed to be cheaper than Opel parts, although I don't have first-hand experience with that. There is some distinct growl coming from the front left under heavy braking, even though the brake pads are not worn. Maybe the wheel bearing needs to be replaced. I have no idea. There used to be some strange scraping noise coming from the power steering module, first noticed during a longer trip to Croatia. This was fixed in the workshop though. The paintjob has quite a few stone chips and bug smears that supposedly burnt into the paint during summertime. That tells me Fiat has issues with its painting process. Door edges look like I purposefully bump them against random objects on each entry and exit, while in reality I am overly cautious not to do that. My three-year-old Linea looks worse for wear than some 20-year-old cars. If I ever have another Linea I'll get it covered in film. Apart from these, the car's been fine. Not that a car should have any issues with three years and 90K km under its belt. I think the above issues came prematurely but keep in mind this is a cheap car from Italy (some say it's the modern equivalent of a Fiat 124) which means compromises should be expected. The Fiat Linea is quite a rare sight in Western Europe, even Italians look startled when they come across one. Unfortunately this didn't buy me fame when I drove it to Italy. Most people like the overall design of the car, although many cannot put a name to the face. I drive another car now and my wife was sad to let the Fiat go. Facelifted diesel models cost just over €10.000 which is not much. After three years the car costs slightly more than half of the original price, It could be a good deal although potential expenses incurred due to diesel technology would steer me towards petrol versions. 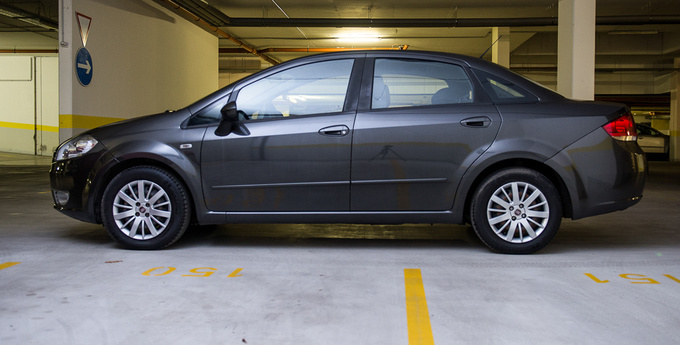 The Fiat Linea is a robust car with good looks. It is a good deal for what it costs just don't expect to enjoy driving it.